GALA choruses have been leaders in commissioning new music for over two decades. Commissioning new music gives choruses a chance to work directly with living composers in creating a work of art that can be shared and performed many times. It also allows LGBT choruses to work with texts that directly speak to our mission or experiences as GLBT individuals. In preparing for your commission plan carefully to select text, a strong composer and to clarify your expectations and parameters in order to commission a strong piece of music that has a life beyond the première. Use this document to ask the right questions as you are planning your commission. Creating a new commission can take 12-24 months. Use this sample timeline to plan each step in your commissioning process. An excellent resource that offers fee guidelines as well as a basic description of rights and considerations. Composer, Abbie Betinis shares her suggestions for commissioning a new work. Take the time to find a composer who understands your chorus and writes in a style that will be a strong fit for your organization and project. Make sure the composer you select is skilled at writing for choirs! Look at other choral commissioned they have written, listen to their recordings. Some ensembles use contests to find new music. 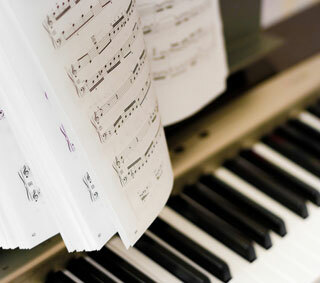 Pieces are submitted in partial or complete form and a prize (commission fee) is awarded to the selected composition. An advantage here is that the chorus can choose from several pieces instead of just one. You also encourage newer composers to apply. The organizations below offer composer databases, sample sound and score samples. You can also post a request for commissioning proposals on many of these sites. This page offers a list of composers that have created commissions, and are familiar with, LGBT choruses along with links to their websites, recordings and score samples. The ACF is committed to supporting composers and developing new markets for their music. On their website you can list your commission project and request proposals, search their database for a composer. This organization seeks to find new ways advance the cause of new music and inspire an ever-growing community to listeners. They stream a catalog of new music around the clock on Counterstream Radio as well as providing commissioning grants. The Online Library is a searchable database with access to digital scores, sound files and biographical information on composers. Adapt these contracts to make sure your commission expectations are clearly spelled out between all parties. Download this document to use/edit as a template for your commission contract. This template is more complicated and includes several contingencies including reduced fees if deadlines are not met. The best way to fund a commission is to find an individual donor who is interested in leaving a legacy by contributing toward a new piece of music. This donor can be honored with recognition at your concert, in the program and in the PR for the concert premiere. Some foundations or corporations may offer a dollar match for a fundraising campaign to encourage multiple gifts from your donors. Consider collaborating with 2-3 other GALA choruses to share the cost of the commission. List your commission idea on this GALA commission discussion board. New Music USA Supports commissioning fees as well as appearance and residency fees for composers. This new fund provide commissioning grants to GALA member choruses for new works by women composers. For not-for-profit arts organizations applying on behalf of artists for the creation, development, and production of new works by emerging artists in New York City and Minnesota. These grants are mostly for individual artists but may be a resource for a commissioning collaboration. Our member choruses have commissioned thousands of new commissions in our 30-year history. Check out these links and consider performing a new work that was previously commissioned by another GALA Chorus. This 55-min SATB musical (spoken word and music) celebrates the life of gay African-American civil rights activist, Bayard Rustin, who was a mentor to Dr. Martin Luther King, Jr. Music by Steve Milloy and libretto by Vanessa German. The commission includes a curriculum for use in partnership with local schools. Recording. Contact smilloy738 [at] aol.com (Steve Milloy). An 8-movement commission celebrating the 50th anniversary of the Stonewall uprising. Composed for SSAA, SATB and TTBB choirs. The commission also includes a school curriculum. Contact charliebmusic [at] gmail.com (Charlie Beale). MUSE has commissioned and arranged over 100 choral works for women’s chorus – many of them by women composers. Excel - This compilation of commissions by GALA choruses was compiled by conductor Joe Buches for an ACDA workshop. The mission of the Dr. Catherine Roma Women Composer Commissioning Project is to fund new collaborations between GALA member choruses and women composers, resulting in new works that celebrate diversity, promote social justice, and stir the human spirit. Applications are now for the current Roma Commission which will be performed by SSAA choruses in their hometowns across North America and then performed as a mass chorus at the GALA Choruses 2000 Festival in Minneapolis, MN July 4-8, 2020. See the Repertoire resource page for a spreadsheet of music performed at Festival 2016 including publisher and composer contacts. Commissioned works are tracked. Honor Dr. Roma, a founding mother of the women’s choral movement, and her 40-year history of supporting women composers, by donating to this new fund, created by MUSE and managed by GALA Choruses Inc. For more information, see the Donate & Sponsor pages.